Each week, you and I get a chance to sit down, sip a cup of tea, relax and reflect on God and His Word. Each week, Ill write an article contemplating His love for us. It is my privilege to share these thoughts with you. I also look forward to hearing how God is touching your soul. How is God stretching your life? Are you experiencing distance from Him? What questions do you have on your journey to intimacy with God? Here at Tea Time for your Soul, well join our hearts in faith as we experience the richness of the relationship He offers to us. If you love a cup of tea as much as I do, bring one along! Breathe in the fullness of what it means to be a woman of faith. Let your soul drink in the nourishment of Gods Word. Subscribe to Emails | "Comfortable in Your Own Skin"
To request permission to reprint an article contact articlereprint@teatimeforyousoul.com. Whether Baptist, Anglican, Methodist, Church of Christ, Catholic, or non-denominational; Christians share a common faith. What is the faith that makes us Christians? It is found in the word of God. It was only a matter of years before Christians started debating the marks of faith. Paul’s first letter to the churches was all about settling that historical struggle between persons who claim to share a common faith. Galatians 2:16 explains: “Know that a person is not justified by the works of the law, but by faith in Jesus Christ. So we, too, have put our faith in Christ Jesus that we may be justified by faith in Christ and not by the works of the law, because by the works of the law no one will be justified.” It is faith in Jesus Christ and His death, burial and resurrection that leads to the justification that enables us to become Christians. Our faith is personal and does not result by joining a certain Christian church. The church has the task of discipling Christians enabling them to grow deeper in their faith and express that through the renewal of their minds, emotions and choices. This kind of deep faith is best evidenced when we live out the truth of the Bible in love. Christians interpret the truth of the Bible in different ways. This is where we see the fractions among Christian churches. There is no perfect church. Though we adhere to a common faith, we often disagree about the expression of that faith in a changing culture. For example, the only time I have worshiped with a head covering when I am in India (I love the act of covering my head in prayer as it alerts me to the holiness of God). The Indian culture uses head coverings for women among most faiths so it is natural in the Christian church. Our faith is nurtured by learning from others about their interpretation of the Bible, but it will never prosper until we become lovers of the Word of God for ourselves. When the Word of God has personal application to your life, you desire to read it more and see God’s word as a light to your path. Faith comes from hearing the word of God (Romans 10:17). Our church is focusing on the new year as “The Year of the Bible.” All Christians are encouraged to read the Bible in major sections. There is a scripture app they chose called “Read Scripture.” The videos included with this app are excellent and explain the storyline of the Bible in attention keeping detail. It’s only the first week and I find that my faith has been increased by the deeper knowledge of truths I had not previously digested when I read the book of Genesis. No matter how familiar you are with the Bible you always have something new to learn as you read it again and again. If you want to grow in your faith, the best place to begin is by reading God’s Word and seeking to understand why He would have that particular story or seemingly irrelevant fact mentioned. My son Ben alerted me to a fact I would not have considered when he read a commentary on Matthew’s gospel that interpreted the mention of Tamar (Judah’s daughter-in-law who bore him twin boys after deceiving him) in a new way. The Genesis story tells us that when the first boy’s arm came out, they tied a red cord around it, but that baby went back in and the first child who was actually born was not the child with the red cord. This, the commentator said, was a picture of how Adam came first, and then Christ. I found that very interesting. As I read the passage again it made me question for the first time how Jesus could be of the tribe of Judah when He was the son of David who I knew was from the tribe of Benjamin. I looked this up and discovered that after Babylon conquered the Southern Kingdom (Judah and Benjamin) they were no longer distinguished as separate tribes. This made me think about the twins could also be a picture of this—how Jesus was the tribe of Benjamin (younger son) and still took over the line of Judah as the King of Israel. Perhaps that is pictured by Jacob and Esau too. If you don’t know what I am talking about, then you have a lot to learn from the Bible. It is full of interesting possibilities that will grow your faith. Copyright © 2001-2018. Dr. Deborah R. Newman. All Rights Reserved. 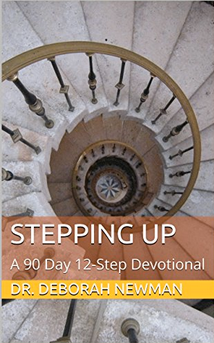 A daily devotion for Advent and Christmastide. Advent reveals the truth about who we are and why we are here. As our souls open to Advent, a reality that transcends the traditional warmth of the season comes into focus. The message of Christmas is to receive God's gift of His Son. As you count down to Christmas through the time-honored tradition of lighting a candle during each week of Advent, you will find guidance for getting off the Christmas-Pleasing Merry-Go-Round and discover the true hope love, joy and peace that Christmas brings. Order Advent Devotion for yourself, or as a gift—on sale this week. 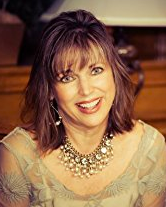 Dr. Deborah Newman is a Licensed Professional Counselor and a Licensed Marriage and Family Therapist and a graduate of Bryan College, Grace Theological Seminary and Oxford Graduate School. She is the minister to Women and Congregational Care at Park Cities Baptist Church in Dallas. She is the author of many books including “Comfortable in Your Own Skin: Making Peace With Your Body Image,” “Beauty Secret: Tips for Teens from the Ultimate Makeup Artist,” “How to Really Love God as Your Father”, “Loving Your Body”,“Passion on Purpose”, “A Woman's Search for Worth,”‘And Then God Created Woman”, and co-author of “Passages of Marriage, “Love is a Choice Workbook,” “Day by Day Love is a Choice,” and “The Thin Disguise”. She writes weekly on teatimeforyoursoul.com. She has contributed to numerous magazines and book projects. She has been guests on television and radio, including New Life Live, and Focus on the Family. She leads seminars and retreats across the country and internationally. Some of the Amazon titles by Dr. Deborah Newman.